Twitter can be an amazing thing. Ashley Bouder, principal dancer with New York City Ballet, tweeted on the Saturday of Thanksgiving weekend, “I’ve got 2 tix to the 2pm matinee of Nutcracker today. DM me if you want them:)” It was 12:30pm and I live in New Jersey. I was barely fixed up and my kids, visiting for the holiday weekend, were at the gym, but what the heck? George Balanchine’s version of Nutcracker opened at New York City Ballet the day before and I knew the David H. Koch Theater at Lincoln Center would be a sold-out house. 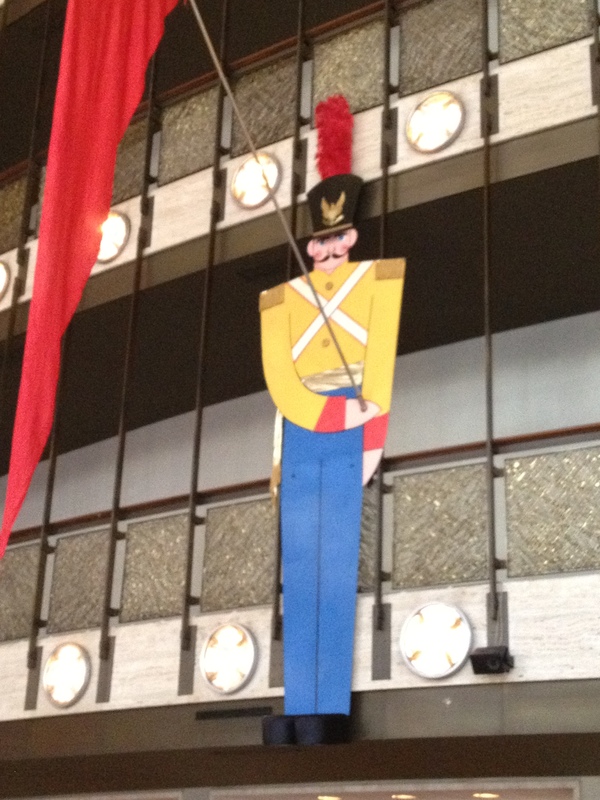 Plus, I hadn’t seen the NYCB version of Nut in maybe 15 years? Cool opp. I’d love to take a run in, on a whim. After a little Twitter back and forth with Ashley, I learned the tickets were complimentary and would be left at the box office under her name. The race was on. Depending on traffic, the ride could take an hour and a half or more. (Of course, Lincoln Center is only 30 minutes from my house if you leave at, say, 4am). I called my kids – stop running, stop biking, stop lifting – one of you get in the car NOW – we’re going to Nutcracker. Both thought I was crazy, but one did run for it, and we were on our way. We made every wrong turn, hit every traffic light, crept though every midtown Manhattan jam up, but we made it to the box office with three minutes to spare and rushed to our seats. And were we glad we made it! That heartwarming Tchaikovsky score! The party scene! The growing Christmas tree! Those fabulous children from the School of American Ballet! And then the wonderful Act II variations in the Land of Sweets, with the beautiful Sugarplum Fairy and all of its inhabitants…. I was excited and I was loving it. I was so excited that after the first act I stumbled upon Ballet Master in Chief Peter Martins in the rear orchestra and went up to him to say the company was excellent, Nutcracker was better than I ever expected, hadn’t seen the show in many years, better than ever… what was I doing?? Shut up! There was excitement in the house. In the “viewing room,” where we were seated, bitter words were spoken to parents about rustling children and their whispers during the overture; people were fussing, moving around and not sitting still. Someone was making noise with candy wrappers… not the usual crowd at the Koch Theater. But Nutcracker is never the usual crowd – not only is the audience filled with children (us older folk should give them some wiggle room re decorum), but those very children were dressed to the hilt – most all little girls were in party dresses, many with large petticoats, some even wearing “Santa” dresses, in red velvet with white fur trim. One little girl had a silver crown on her head! The ballet was a show, and the audience was a show. Even during intermission a dancer was posing for fundraising photographs with children. That is Nutcracker. For me, there is nothing like Balanchine’s version, and I think NYCB does a stellar job. The reviews were good – even the normally persnickety New York Times was pleased. 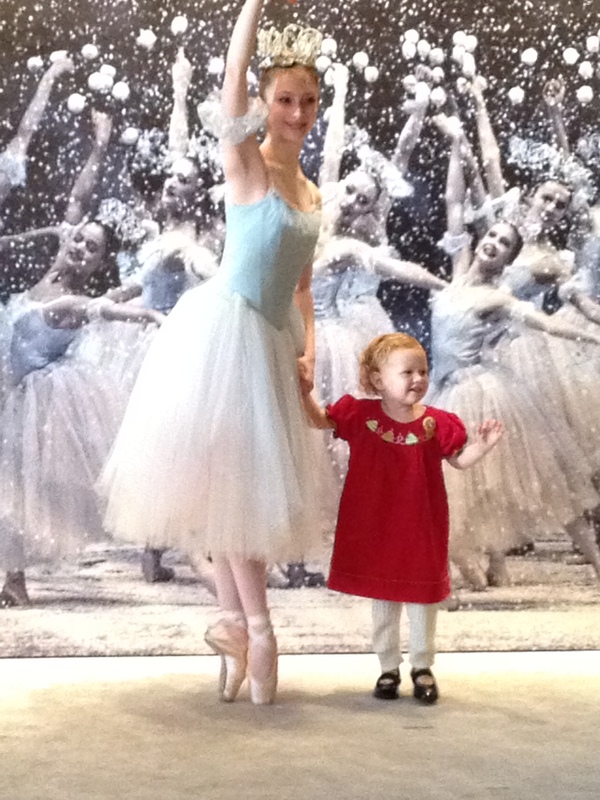 (Be sure to read Tobi Tobias’ Arts Journal blog on this season’s NYCB’s Nutcracker– she summed it up well)! By the way, Ashley was a fine Dew Drop. The phrasing, execution and musicality of her dancing is a delight. Thank you, Dew Drop, for a great afternoon. What could be a more wonderful and spontaneous way to kick off the holiday season then a “Twitter” Nutcracker? NYCB will have a live telecast of Nutcracker on December 13, which will be on view in more than 500 movie theaters cross-country. On December 14, PBS’s Live From Lincoln Center will present the ballet. 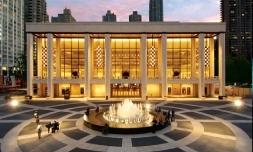 The NYCB season runs through December 31, 2011. WHOSE SPOT IS IT ANYWAY? I often wonder, why do people always stand at the same place at the ballet barre? 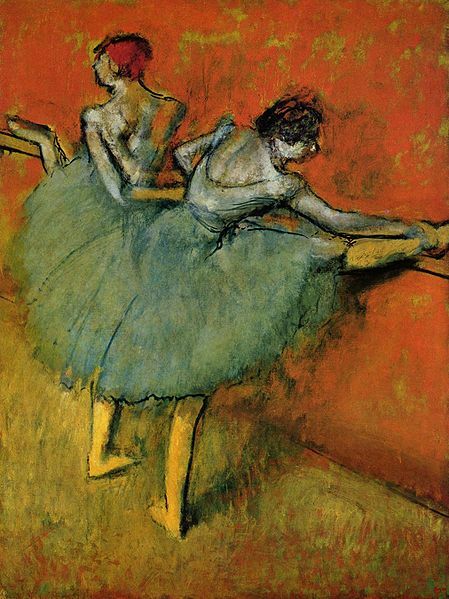 No matter what the class, or whom the teacher, no matter what the day or what the level, it seems dancers always stand at the barre in the exact same spot! (In my class, I can almost tell you where people are standing with my eyes closed). I remember when Sally Brayley Bliss, Trustee of the Tudor Trust, told me she always stood at the piano when she took barre in Mr. Tudor’s class at the Metropolitan Opera House and that’s how she became close with Elizabeth Sawyer, Antony Tudor’s accompanist for 17 years. I’m not talking about “the middle,” where the more advanced or higher level dancers tend to be first. I’m talking about the barre and why people always seem to stand in the exact same place. In my class, dancers are often so committed to their spot that people are literally afraid to “steal” a regular spot from another class member. 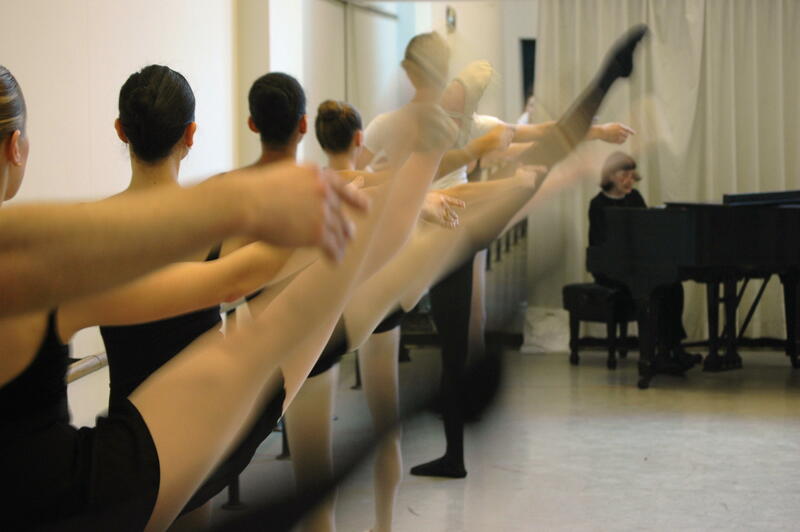 (I recall one day a dancer holding a tiny section of the barre at the piano relocated like a bullet when the person who normally stands in that spot arrived late – yikes)! Ashley Bouder, Principal Dancer for New York City Ballet, told me she always stands in the same spot in company class. “I have stood in the same spot in company class for eight years. I always stand directly behind the piano, no matter which studio the company is taking class in. It makes me feel comfortable. It’s like waking up in your own bed. A hotel bed may feel great, but nothing beats home. That’s how I feel about my barre spot. It’s my home base; a place to start my day,” she said. Yes, we are creatures of habit. Recently my daughter told me a lawsuit was filed at her NYC gym after one man pushed another off his “favorite” bike in spin class and wound up breaking the trespasser’s arm! She hears the “pusher” is now banned from the Equinox gym for life and “is probably in anger management.” Well, ballet people don’t go that far, but yes, we do like our spots! Do you always stay at the same place at the barre? (I try not to. But then again, I do like a clear view of the mirror and hate being squished in the corner. The back of the room gets too warm for me and I don’t like being too close to the door…). Well, I guess I do always stay at the same place at the barre! Or try to!